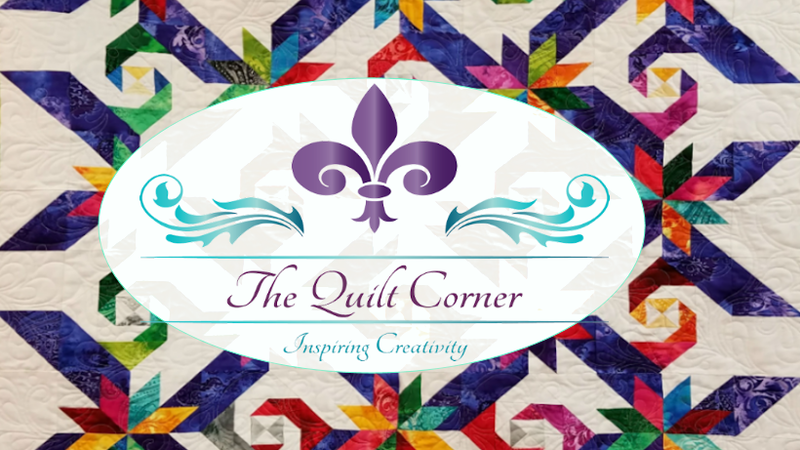 Aunt Mag's Adventures in Quilting: Adventures in the Ozarks! We spent the last week in the Ozarks traveling 1st for a family reunion in Stilwell, OK and then a little R&R .... in Eureka Springs, AR. Eureka is a unique town and had been nearly 20 years since I went that way. Interesting, because not much has changed. The only real bummer was that it rained, no poured, every day we were gone. When it wasn't pouring, it was misting and chilly. We also missed the glorious full fall foliage by one week... but can't control family reunions unless you're planning them - LOL! The BIGGEST surprise were the gifts from my husband RW's family - he is better know as "Joe" amongst them. His sister-in-law, Jean, presented him with a photo album with pictures from the past 50 years or so. This was a huge gift that really touched his heart as he has very, very few pictures from his lifetime. Here's his brother & two of his sisters - one didn't make it. They are Cherokee. Joe was also given a nice gift basket from his sister with a print for our home & other goodies, plus some locally made beaded jewelry for myself.... but the piece de' resistance was a quilt that was made by his mother, more than 50 years ago. We both had tears in our eyes over this. It was an an answer to prayer! His sister, Katie, realized that we did not have one of "momma's quilts" and wanted us to have one. She let us choose - and this is the one we picked.... I just love it - and you can be sure, it may be old, but it will be used & loved as it has been already for many, many years! This quilt is completely hand pieced - all little diamond shapes... the blocks that look white are actually fabric that has completely lost its color. Every piece (look between the stars to see the shape of the blocks) is the same one. Look how she finished the edges. It is a scrap quilt completely in the traditional sense. Joe's sisters were looking at it and remembering their dresses & "Granny's" dresses that it was made from. I can see a few men's shirts too. It is hand quilted in the Baptist Fan design. Joe says that is how his mother quilted every one of her quilts. I'm not so sure about that, but I do know that was her favorite quilting design. Interestingly enough - she apparently did NOT like hand stitching down the binding, so it is machine sewn.... Well, we have good company there! Except for a few tatters here & there, the quilt is soft cuddly and in incredibly good shape. Now, we're heading down the road & ended at this charming B&B... fabulous breakfast! Here's a little bit of my story. I actually lived just north of Eureka Springs, Arkansas for about 2.5 years, about 20 years ago. I actually worked in Eureka at a little bitty hospital that is still there and has not changed at all... Can't grow, no place for it to go - but it does serve a need in the community. It was lovely to be in Eureka in spite of the downpour & constant misty rain. Highlight of the trip? Couples massage at the Cresent Hotel & then gourmet Mexican dinner.... absolutely incredible!